Vanman.ie prides itself on its personal service and professional integrity. Our pricing is considerably cheaper than dedicated house moving companies. Our vans are able to access most entrances facilitating quicker moving times in turn minimising the cost of our service. We understand how stressful moving can be, we make moving easy. We suggest our customers pre-pack however we provide a packing and unpacking service to make your move as easy and stress free as possible. We will load and unload your belongings to the required rooms. 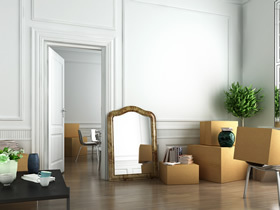 Large house moves and/or items may require an additional mover and we are happy to discuss and meet your requirements. Vanman.ie is the right move for you.